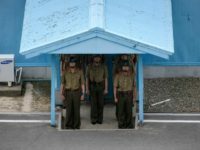 Scientists have confirmed the identity of two service members whose remains were returned by North Korea in July, officials from the Defense POW/MIA Accountability Agency announced on Monday. 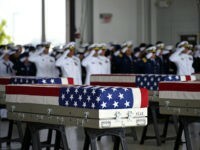 Vice President Mike Pence formally welcomed home the remains of America of American military killed who died in the Korean war in a solemn occasion Joint Base Pearl Harbor-Hickam. 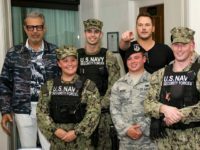 The latest iteration of the Jurassic World film franchise, Fallen Kingdom, does not debut in the U.S. until June 22 but stars Chris Pratt and Jeff Goldblum turned up to host a sneak preview of the film for members of the military and their families in Hawaii.